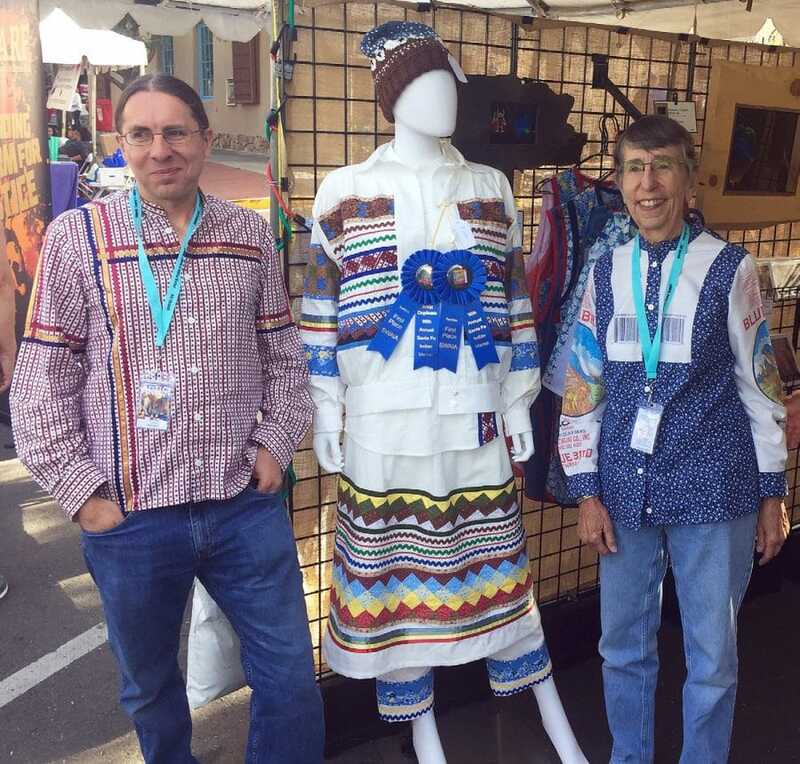 Christopher Short and his mother Cathy Short with their award-winning four-piece, traditionally embroidered Seminole patchwork outfit at Santa Fe Indian Market in Santa Fe, New Mexico. Cathy Short and her son Christopher Short blend traditional Native textiles with state-of-the-art techniques to create unique pieces that celebrate tribal culture and heritage. In August, the pair earned first place at the Santa Fe Indian Market in Santa Fe, New Mexico, for their four-piece, traditionally embroidered Seminole patchwork outfit. The hand- and machine-sewn garments — pants with pockets, skirt, long-sleeved shirt and jacket — using yarn-dyed chambray are decorated with eight self-designed patchwork patterns made with cotton calico. Each piece also features rick rack and ribbon trim. With designs inspired by traditional Seminole patterns and textiles, they earned a blue ribbon in the textiles category, division C.
It’s the second year the artists participated in Santa Fe Indian Market in Santa Fe, New Mexico and the first year for them to enter the juried contest. 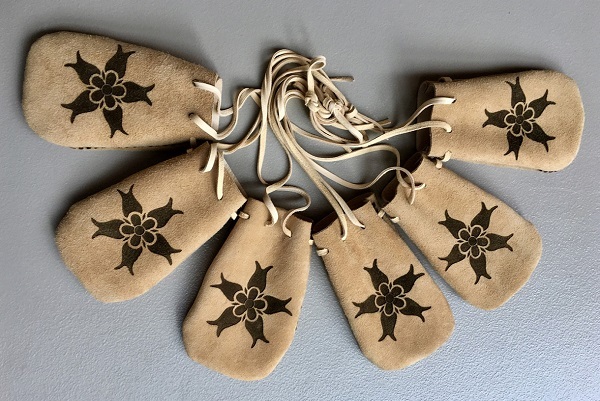 Their vendor booth featured two laser-etched, sueded deerskin vests, along with etched, sueded deerskin pouches embellished with designs inspired by woodland tribes’ beading and geometric patterns. “One of the things that we’re doing now is trying to bring more and more of our cultural heritage into our work,” Cathy said during a recent telephone interview from her Santa Fe home. She and Christopher are Citizen Potawatomi, and they find much their inspiration in American Indian design and culture outside the Southwest, closer to their tribal home. “We want to pick up on those design elements that are culturally significant to us. 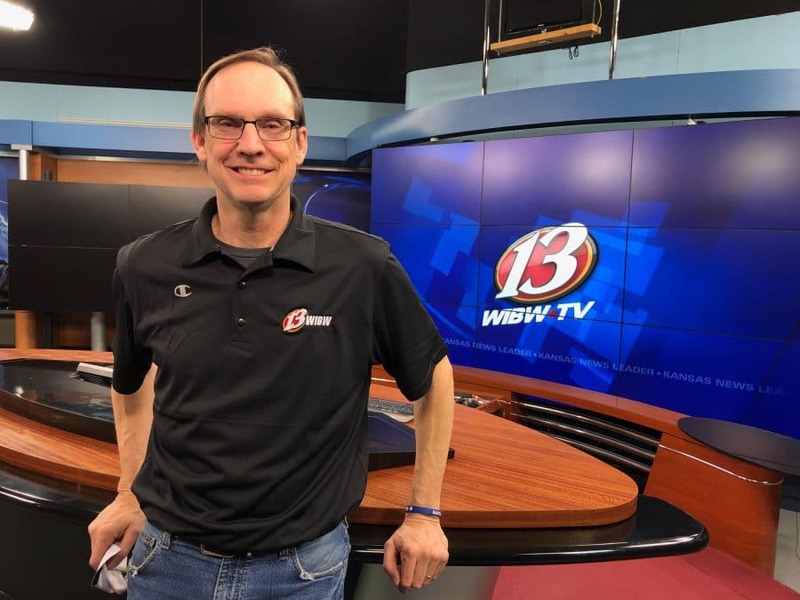 We live in the southwest; we’ve lived in the southwest for a long time,” Cathy Smith said. “We don’t want to duplicate what’s being done by the tribal people here because our culture really is not here. That’s why we steer toward the patchwork, toward the Seminole. A shawl blouse, based on Potawatomi shawl blouses, trimmed with pre-1912 shell buttons, created by Cathy Short. 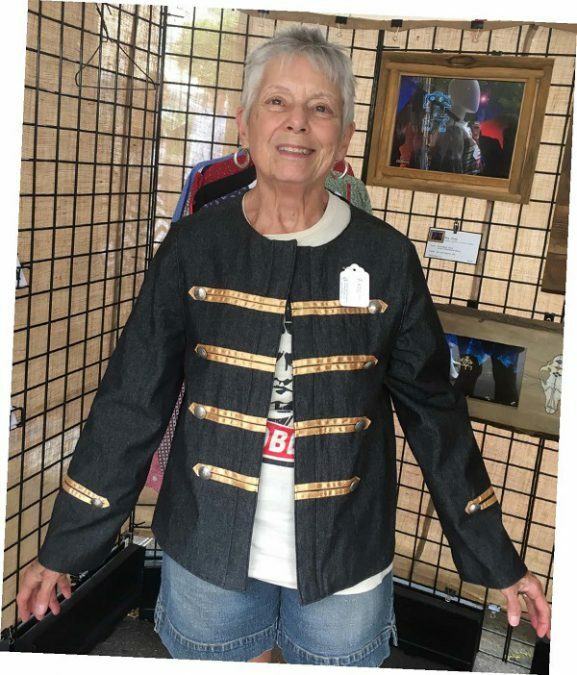 A military-style jacket with gold braid and buttons made from old Indian head nickels, created by Cathy Short. One item for sale, a military-style jacket, featured gold braid and buttons made from Indian head nickels. She also incorporated pre-1912 shell buttons onto a Potawatomi-style shawl shirt and sewed Potawatomi-style folded ribbon work on a shawl. “We had a very, very good Indian market,” she said. They sold most of what they brought with them, including the vests. One ended up in a private collection. Laser-etched, sueded deerskin vests created by Citizen Potawatomi Nation tribal members Cathy and Chris Short. Both sold at this year’s Indian Market in Santa Fe, New Mexico. The one on the left ended up in a private museum in Butte, Montana. 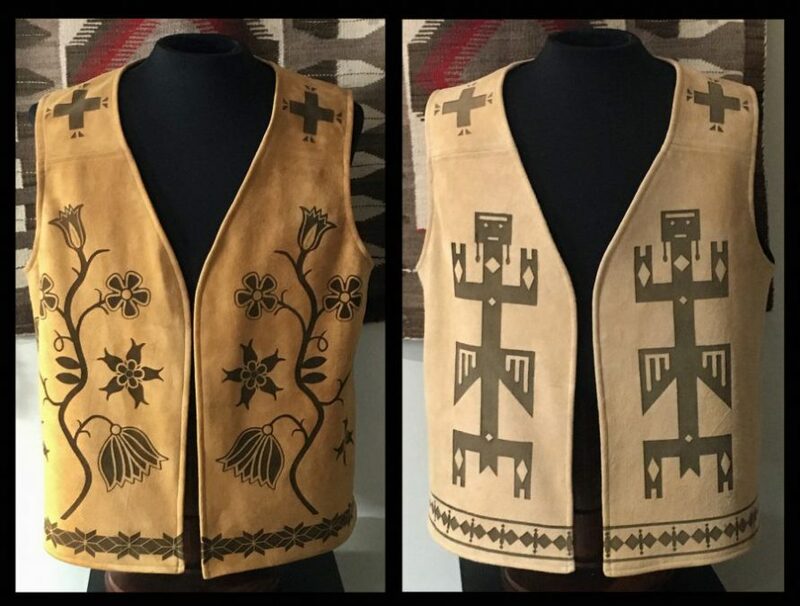 “The market opened that Saturday and about the first person in the booth was the gentleman who had come from Tulsa, Oklahoma to buy the deerskin vest with the floral pattern on it for this private museum in Butte, Montana. Before Christopher moved to Phoenix and again joined his family making award-winning collaborative art, the Shorts founded Lizard Light Productions. “We did all event photography and videography for the Heard Museum as well as other Native American organizations in addition to our art,” she said. Heard Museum is a private, nonprofit American Indian-focused museum in Phoenix. In creating his art, Christopher custom-built a machine to laser-etch his award-winning designs and photographs. Christopher moved to Sant in 2005. While they had done some photography together before, Cathy admitted she had long honed her textile arts skills wherever she found an opportunity. That changed in 2003 when she retired. In Santa Fe, she and her son’s skills finally came together. “Christopher does all the design work. He researched old woodland tribes’ beading patterns and adapted those and geometric patterns and then adapted those patterns onto that vest,” she said. Aside from this year’s market, Cathy also collaborated on a major bead exhibit installation on display at the Wheelwright Museum in Santa Fe. She provided textile support, including covering various mannequins, and designing and hand-sewing a pair of gold lamé gusseted gloves for a powwow outfit display. She’s also helping curate an exhibit on Native American glass art at the Museum of Indian Arts and Craft in Santa Fe and co-authoring a book on Native American glass art. 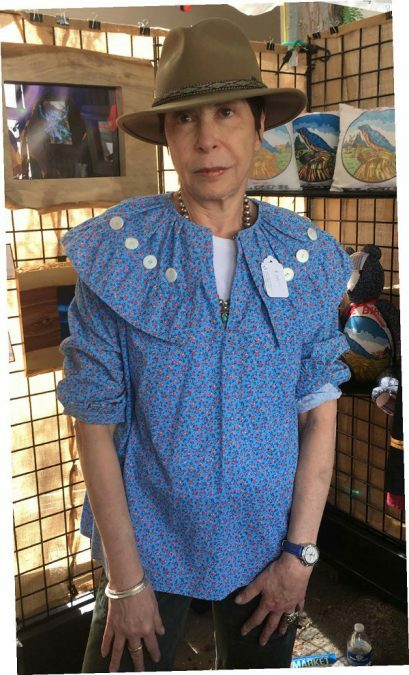 What didn’t sell at this year’s Santa Fe Indian Market, she said, was their award-winning traditional Seminole patchwork ensemble. From start to finish, Cathy estimated the four-piece garment took about 2 ½ months to make. “We researched what would go into a traditional outfit, then we designed our patchwork patterns and made those and then we created the outfit. “You have to cut all the strips; then they have to be sewn together. Then they have to be cut again and then sewn together again and cut again. When you’re done with all the different cutting and resewing strips to make the patterns, then all the strips have to be edged,” Cathy explained. “There were weeks and weeks and weeks involved in just making the patchwork strips. Then, we made all four pieces of the outfit, and especially that jacket, which is a very traditional jacket with lots of pleats in it and gussets under the sleeves. “We were very glad when we got it finished,” she said, then laughed. Despite it not selling at the market, she has high hopes for the ensemble’s future. This year, more than 1,000 artists participated in Southwestern Association for Indian Arts’ Santa Fe Indian Market. Cathy entered the “diverse arts” category, including painting, drawing, graphics and photography. Christopher Short offered textiles, including painting, drawing, graphics and photography. “Next year, we’re thinking about doing an entire traditional woodland outfit with folded ribbon work, which again is returning to our heritage,” she said. Dana Warrington, Prairie Band Potawatomi/Menominee, earned a second-place award in beading and quillwork accessories (division A); and first place in the same category for her cradleboard entry (division C). Jodi Webster, Prairie Band Potawatomi/Ho-Chunk, sold contemporary Native American jewelry at this year’s market. Peggy Fontenot, Patawomeck/Potawatomi/Cherokee, offered beadwork and quillwork. • The 97th annual Santa Fe Indian Market is Aug. 18-19, 2018 in Santa Fe, New Mexico. Visit swaia.org/indian_market for details. • Learn more about the Shorts and Lizard Light Productions, including pricing, by emailing info@lizardlight.com or visiting facebook.com/lizardlightproductions. Check out its YouTube at youtube.com/user/lizardlightprod. • Find Christopher Short’s mixed media and laser art at coherentmagic.com.